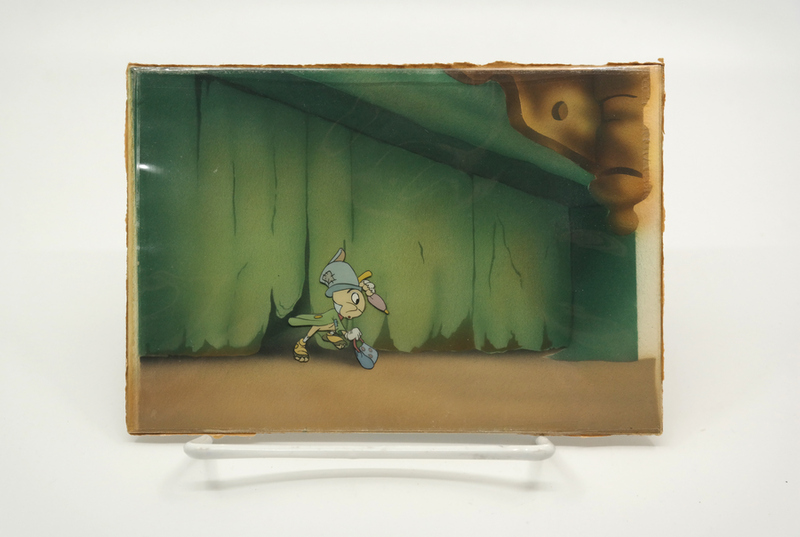 This is an original production cel from the Walt Disney Studios production of Pinocchio (1940). 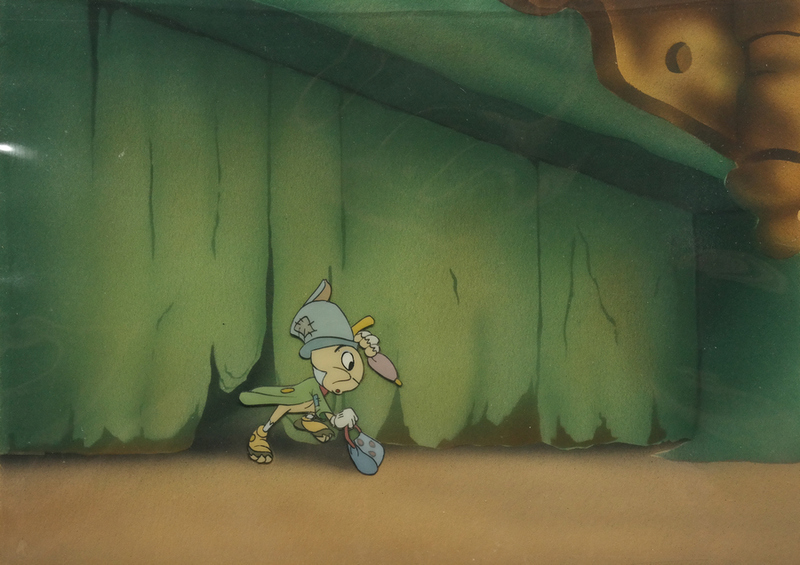 This hand-painted cel features Jiminy Cricket and was created at the studio and used during the production of the film. This setup was created by the studio for the original Courvoisier Galleries art program, when the studio first promoted animation as a form of fine art. The cel is trimmed to the image of Jiminy and Jiminy is applied to the custom painted reproduction background. The overall measurements of the setup are 5.5" x 7.75" and the trimmed image of Jiminy measures 1.5" x 1.5".